Maneri is a small town in the state of Uttarakhand in India that is a tourist hotspot for people all over the world; it is placed 8 kilometres towards the north of Uttarkashi on the banks of the river Bhagirathi. 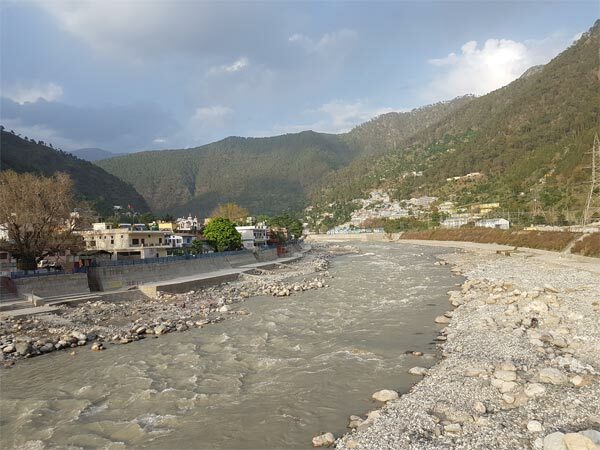 This beautiful riverside area, 15 kilometres from Uttarkashi, is popular for setting up transit camps for the Char Dham Yatra. It is also a favourite spot for adventure sports like trekking tracks, mountaineering and white-water rafting among tourists and locals alike. Maneri is located on the Dehradun Getaway and is easily accessible via road, train and air from significant destinations in India. The nearest airport to Maneri is the Dehradun Airport. The closest railways stations are Rishikesh, Haridwar and Dehradun. You will find regular buses and taxi services available from the airport and railway stations. The climate in Maneri is warm and temperate. There is good rainfall during the summers, while the winters experience mild rain. The average temperature is around 13.9 °C. All through the year, the temperatures vary by only 13.2 °C. The region receives an average rainfall of 2242 mm. The driest month is November that gets the only 6 mm of precipitation. The hottest and coldest months are May and January respectively. Avoid the heavy rainfall during July. The pleasant climate between April to June makes it the best time to visit this destination. Maneri is one of the unique tourist destinations placed on the way to Gangotri from Uttarkashi. Maneri has gained prominence since the last decade. This small town is often the base camp set for people heading to the Char Dham Yatra. The Maneri Dam, placed on the Bhagirathi river, is one of the tourist destinations that has gained immense popularity recently. Maneri is blessed with a mesmerising backdrop and is a photographer's dream destination. The 8-kilometre long tunnel helps the water to manoeuvre to the turbines at Tiloth. As a result, you have a lake formed at Maneri that is equally popular among locals and tourists alike. The 92-kilometre stretch offers a beautiful drive from Gangotri. You will also get plenty of opportunities to indulge in some fishing in the catchment area for Himalayan trouts. Grill them live over at the base camps. A beautiful picnic spot for people looking for peace and tranquility. Similarly, for the adventure junkies, there are plenty of activities to keep you engaged. Feel the adrenaline rush through your veins as you try trekking tracks, mountaineering and white-water rafting. You will also find abundant varieties of deodar, pine and fir along with plenty of medicinal herbs and shrubs in this region. There are many beautiful tourist attractions near Maneri. One of them being the Char Dham Pilgrim Circuit of Uttarakhand. The other popular attractions that catch the attention of tourists are the freshwater lake-Dodital, Vishwanath Temple, Har Ki Doon, Gaumukh, Tiloth Power Plant, Maneri Dam, Bhali Dam, Nachiketa Tal, Kuteti Devi Temple, Gyansu and Palla Gyansu, Matli, Mahidanda and Joshiyara.